How Drones Prove Useful For Inspecting Insurance Claims? Drones have now become very common and surprisingly have opened up many new markets for the traders and suppliers. Recent developments have made it clear that, drones have been opening new markets for the insurance operators spread across India. Flying your drone can be very exciting! But you need to know the nittigritties in case you are planning to use drones for commercial purposes. Most of these tasks are risky and are very often found to be time consuming. However, as far as insurance companies are concerned they normally use drones in order to complete their inspection processes. Thus, drones help in inspecting properties which are directly linked with insurance claims. According to Magruder companies drones can really help to put up some support in terms of managing damaged properties. Disasters are certain incidences which tend to create a huge impact on the human lives as well as our society. A specific role of drones, which have been observed in the recent past had been in assessing the damage, creating a direct linkage to costs incurred which can lead to faster payment of claims. 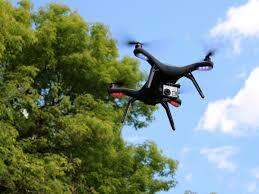 There are various types of drones which could be used for insurance services. But experts had observed that, the markets in which drones are being used are heavily competitive. The services of drones which are being used commercially are still at a nascent stage, and the total market is yet to be evolved till a matured stage. · Drones which help in measuring the Physical damage (hull). This includes the drone, cameras, sensors, ground station. · Drones which measure the various types of Liability. Property evaluations by drones have more or less become common phenomena. Insurance companies can generally use drones to examine property where they themselves have a minimum reach. Insurance companies in the recent past have resorted to using drones for doing claims appraisals after damage. Widespread damages can also be assessed with the help of drones as they are known to provide rapid responses. Rapid responses can in turn facilitate the process of managing rightful claims and thus can create a smooth workflow for insurance brands as well.